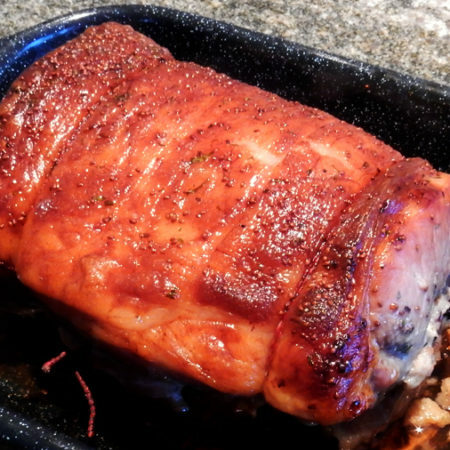 This is a great stuffing for pork, either a pork loin or stuffed in a pork chop. In a skillet, melt butter and saute the onion and celery until soft. Place stuffing mix in a mixing bowl and add the onion and celery and water and mix to combine. Mix in the apple, walnuts and cranberries and the stuffing is ready to use.